That's an adorable bag! And it totally DOES fit a lot! 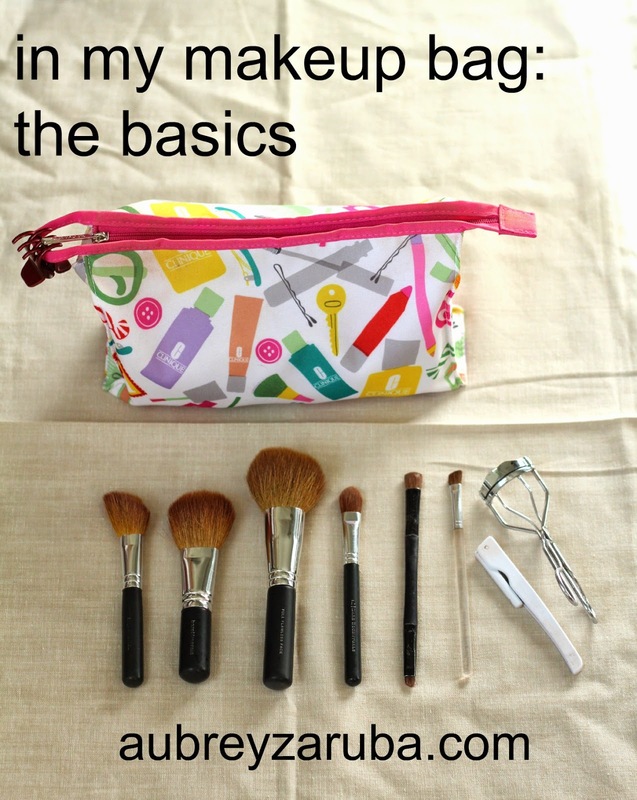 I keep foundation, blush, and eye makeup in my basic makeup bag! cute bag. I need better brushes. What an adorable little makeup bag! I didn't realize how much fits into my bag, either, until I took it all out! Haha. Love this! I used to use the chafing gel, too. Works really well! 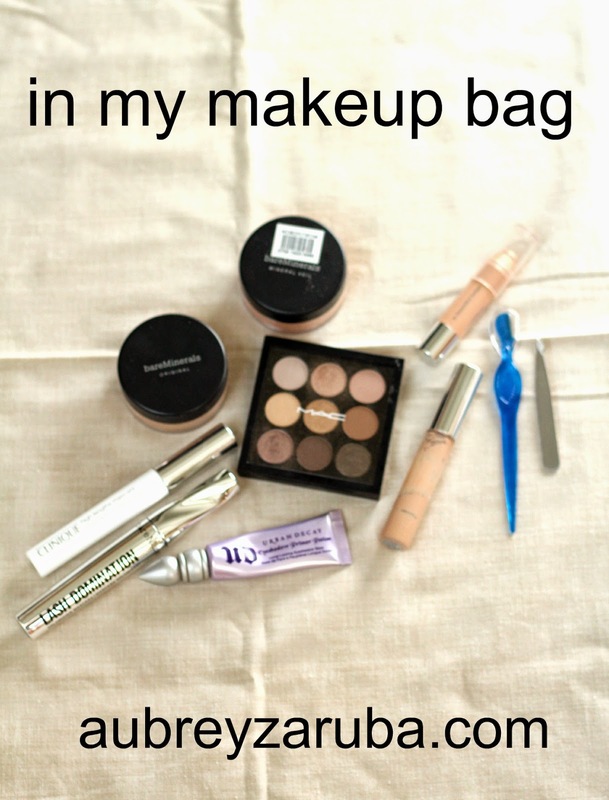 I think I use about 25% of the products in my bag!! I don't wear eye shadow on a daily basis so all of that just sits there and I have like four different kinds of concealer because I can never decide what product is my favorite for the money. love bare minerals. Have not used them in forever! & I LOVE everything Urban Decay! I also LOVE bare minerals. I need to get a new concealer, I have been having a hard time covering up these dark circles! I feel like I need a make up intervention. I'm not liking what my face looks like any more. Anyway, thanks for the post. I'm hoping I can get some good make-up at some good old American prices. LMK if you have any make-up tips!